Thank you for making MCON 2017 unforgettable. Because of you, MCON 2017 drew nearly 1,000 attendees in person and thousands more online. The passion we saw from leaders, entrepreneurs and cause enthusiasts proves that people are truly inspired to change the world – for good. 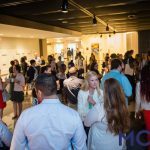 Whether you made it to Washington D.C. this year, watched via the MCON Livestream or are kicking yourself because you missed both, check out these four iconic moments from MCON 2017. 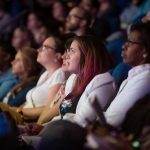 Ready to be part of MCON 2018? We’re already planning for next year’s event, so make sure you sign up for our news and announcements!